It’s no secret that I love rainbows. 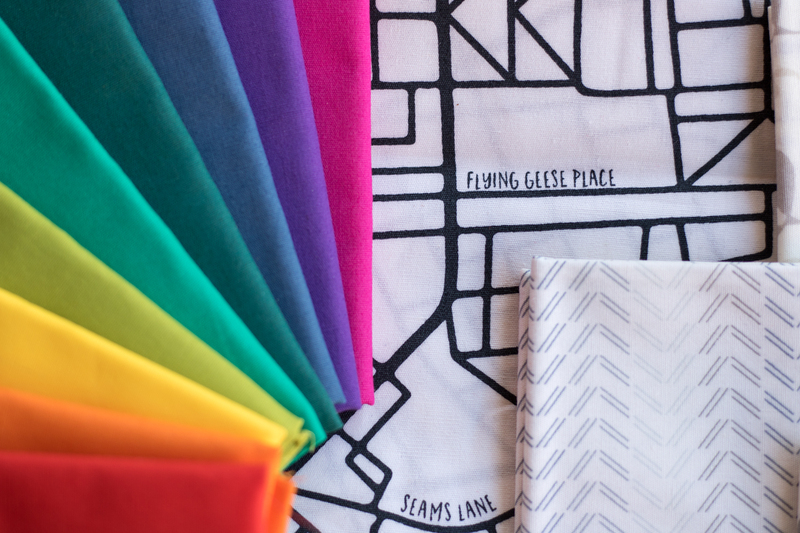 It’s probably also no secret that I’m a huge fan of how Alison Glass does rainbows with her fabric lines for Andover Fabrics. Saturated tone-on-tone fabrics, with a bright spectrum of tertiary-heavy colors, natural elements in each print that sing to my nature-loving heart, and fabric lines that flow into and complement each other wonderfully; what’s not to love?! 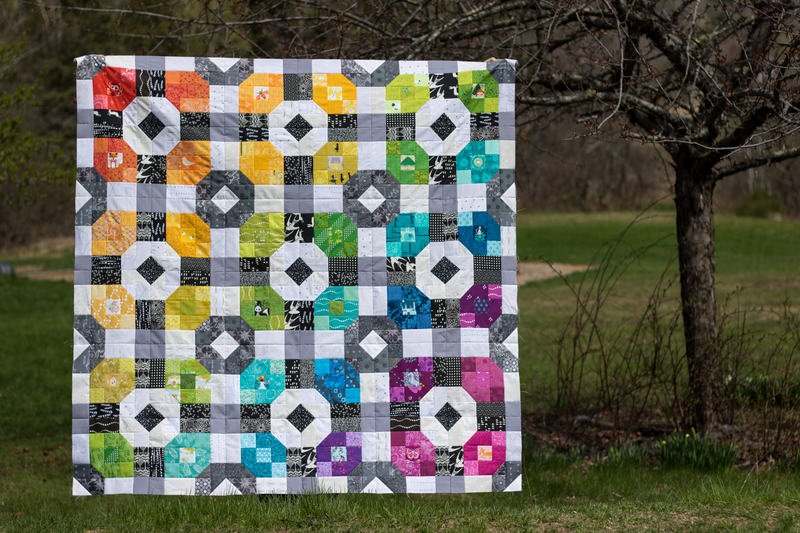 With the rainbow stage set, I will apologize in advance for enabling my fellow rainbow lovers, but I’m excited to be adding a bit of Alison Glass’s newest Sun Print line to my stash. She & Chen kindly sent me a fat eighths bundle of the line, and I can assure you there will be more joining my stash (or hopefully if all goes as planned, an actual in-progress project or two!) as soon as the fabric is available in shops (slated for late January 2018). Feast your eyes upon this! Can you blame me!? I mean, seriously…. is there anyone who doesn’t love a rainbow? Here’s a quick introduction to the line, with attention drawn to a few details I especially love, and far too many photos, as is my style. Here are the full spectrums of each line within Sun Print 2018, from left to right: Diatom, Compass, and Depths. Diatom reminds me a bit of Insignia, with its large solid portions, only a bit softer. I love how the colors play wonderfully together, yet you can get different value play within each color. 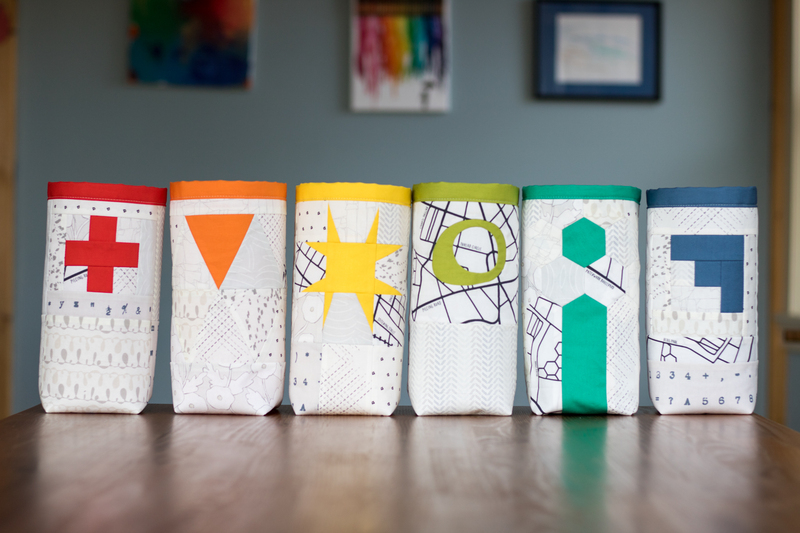 Compass is definitely the boldest in color, and I love the addition of complementary colored details on some of the fabrics. With the dense white sketch-like pattern on Depths, it reads the lightest in color. 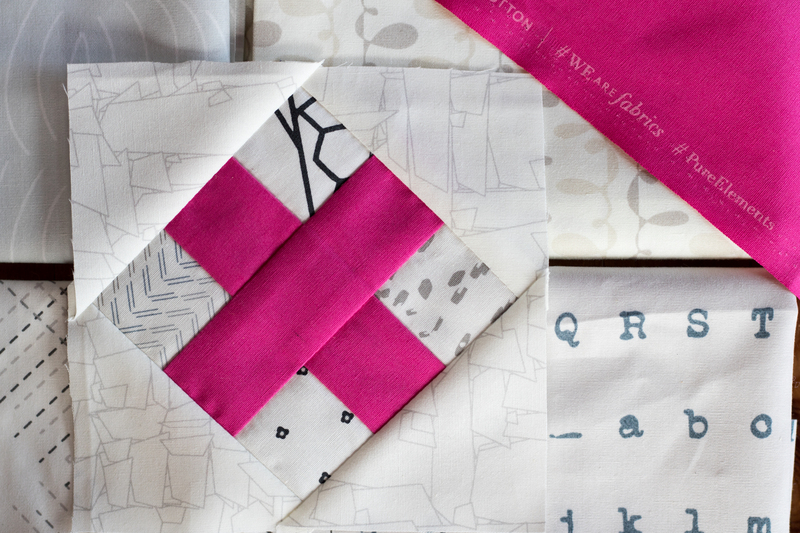 The designs are reminiscent of Alison’s most recent fabric line Diving Board, with a definite nautical vibe. You can see one of the Diving Board prints on the card in the center in the photo above, and see how compatible it all is. 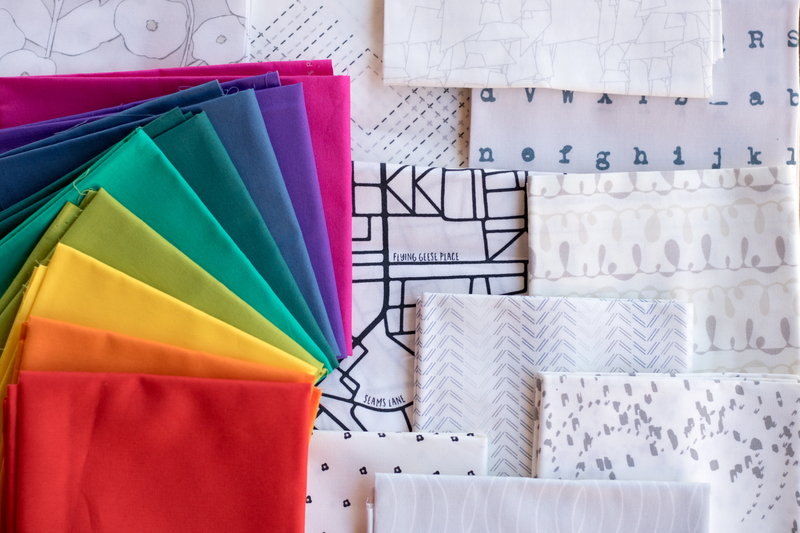 Together, these fabrics make a rainbow that fits in wonderfully with the rest of my rainbowtized stash (let’s be honest, it’s probably 90% Alison Glass fabrics anyway), and I can’t wait to work them into my projects. I already have two new rainbow project ideas in the works, even though I really could do with some project finishing before I begin more new ones (shhh). I also love that Alison includes white and grey versions of each print, since both act as the perfect neutral to help the rainbow truly pop. She’s thought of everything. Soooooo so pretty! I’m thinking I’ll use these in an EPP project or two, and I’m planning on using mostly this line (with a few other Alison Glass fabrics of old) in my Quilter’s Planner Sampler quilt for the Sew Along happening in 2018. What would you make with this rainbow? I’m linking up with the sparkly Molli Sparkles’ next Sunday Stash since it’s been AGES since I’ve added to my stash and shared about it. I have a few new books and notions to share, too, so hopefully I’ll get those photographed soon! Happy sewing! I was bitten by the EPP bug years ago, but this summer I came down with a serious case of Moonstone Madness, and in the best possible way! 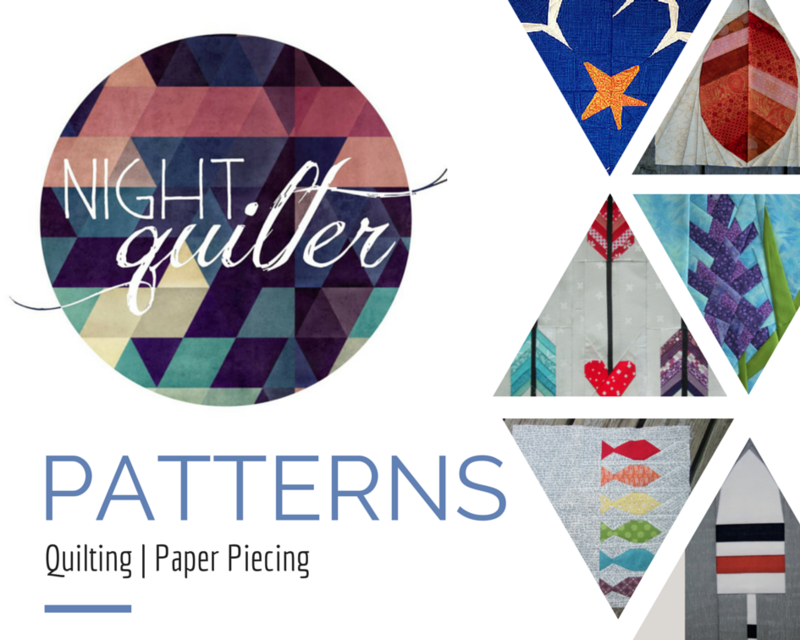 In June, my talented friend Giuseppe Ribaudo aka @giucy_giuce released his first English Paper Pieced pattern in partnership with Karen of @karenthediyaddict, called Moonstone. He was kind enough to send me a kit and boy has it kept me busy and grinning pretty much all summer! 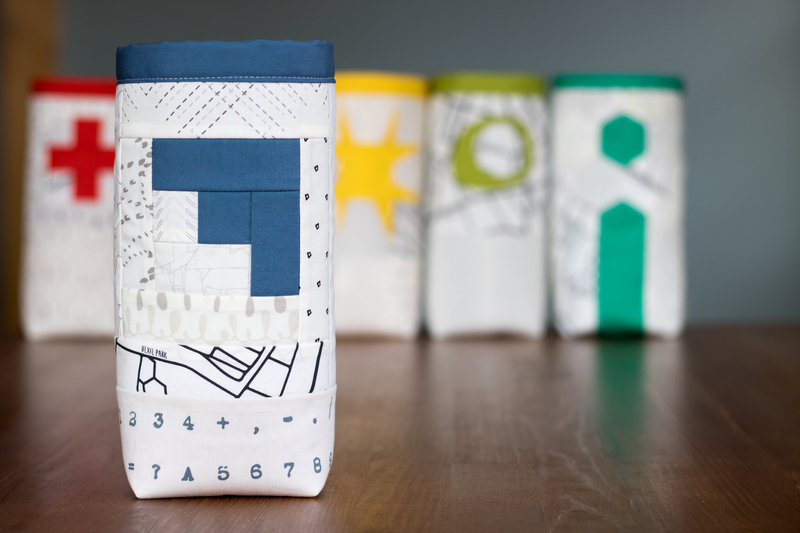 I love EPP and hand stitching is the perfect solution for busily adventuring makers in the summer months, and this pattern didn’t disappoint. In the spirit of setting myself up for success, I opted to make four (4) blocks to make a pillow rather than a full sized quilt, and I dove into my bright Alison Glass stash to put together a fully saturated, smooth rainbow gradient. You know how I feel about rainbows. 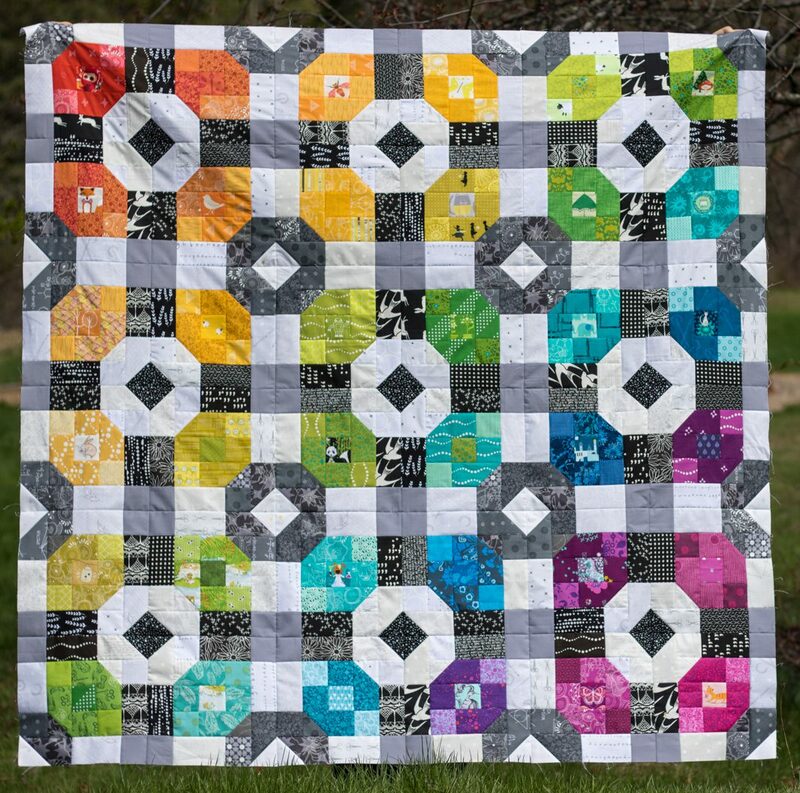 Alison Glass fabric rainbow + Giucy Giuce EPP project = heaven on a summer’s day! I used mostly 50wt Aurifil thread, with a few 80wts thrown in, using coordinating colors so that the stitches blend right in with the blocks. The threads shown here are (from top left clockwise): 2535-Magenta, 1154-Dusty Orange, 5015-Gold Yellow, 5017-Shining Green, and 1125-Medium Teal, all 50wt. There’s nothing quite as satisfying as matching the perfect thread to your fabric! Alison’s Art Theory print from her Ex Libris line (still my ultimate favorite fabric ever) was my color inspiration, so I planned my 4-block panel around the color flow in the center octagon. 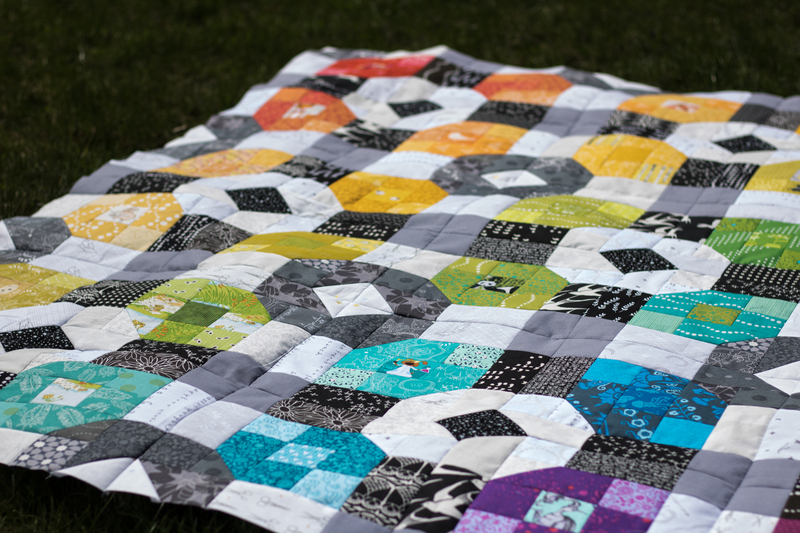 Throughout the course of the summer, I finished the four blocks and completely stitched them together! Now I am at the point in the game where this could lounge in the works in progress pile for a while, but instead, I am going to use my excitement to forge ahead and aim to finish this beauty, which is sure to be my most favorite pillow of all time. My next step is to choose background fabric, press the pieced panel thoroughly, remove the template papers (so that I can use them again!! ), and then hand stitch the panel down onto the background fabric. Just last week, I visited my local quilt shop Fiddlehead Artisan Supply in Belfast, ME, in the hopes of buying some yardage of Insignia in charcoal by Alison Glass, which is a nearly-solid. While Fiddlehead did not have the Insignia, they did have two other options that I bought to try out: Flying Geese in Dark Charcoal from Handcrafted, and Ink in Charcoal from Sun Print 2016 (all for Andover Fabrics). After looking at those options, I still felt like I needed to see the Insignia before deciding, and with the encouragement of a few friends on Instagram, especially Erin who said, “I’m a strong believer in first instinct=best instinct!”, I ordered a yard of Insignia in Charcoal from Alison Glass’s shop. (Thank you Erin!). Clearly, my first gut choice is the winning choice! Next I will hand stitch this epic panel to the perfect Insignia background using Aurifil’s monofilament thread in Smoke. I plan to quilt this with the Smoke monofilament thread, too, and I’m so excited just thinking about how amazing this pillow will be. This will be my first time sewing with monofilament thread, either by hand or machine, so I’ll be sure to share how it goes. If you’d like to get a Moonstone kit for yourself, you can order one HERE on Karen the DIY Addict’s site. 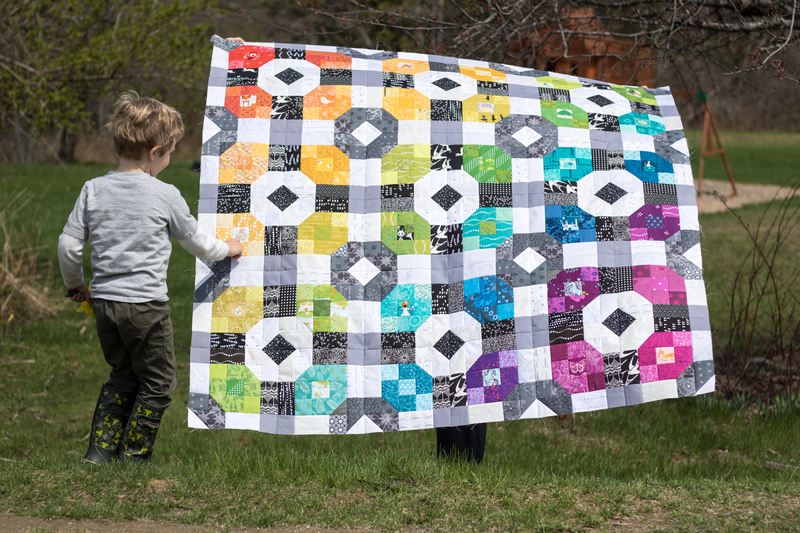 The kit is pretty amazing, with acrylic templates for every piece, as well as enough pre-cut foundation papers to make a full 72″x72″ quilt (or lots of pillows! ), a booklet with Giuseppe’s reflections, thoughts, tips, and four (4) different layout suggestions, and of course coloring pages for all four layouts. As for me, I’m nearly finished piecing my next rendition of a Moonstone block, going with the Gems layout and a more nautical theme. 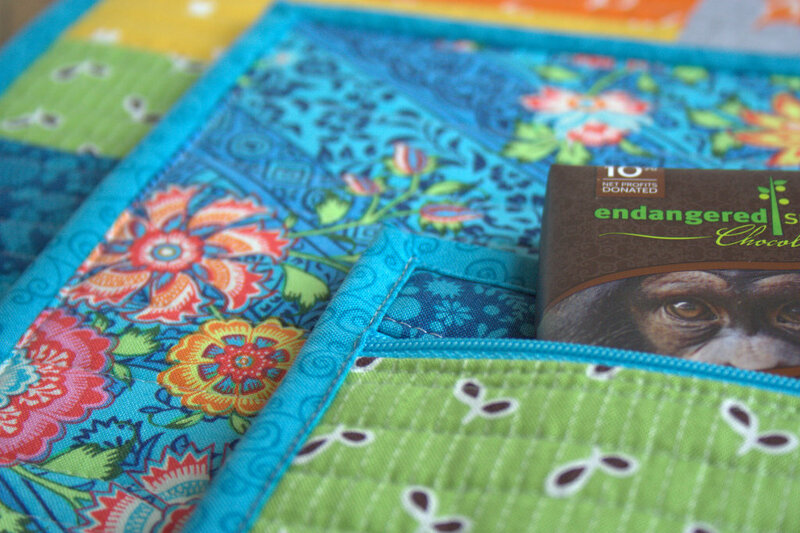 I plan to make only one block and top stitch it to a large zippered pouch for a friend to whom I owe a quilt. I’m hoping the consolation diaper pouch/zipped pouch will hold her (and her nearly 1 year old baby) over until I manage to make the quilt! As you can see, I’ve been absolutely struck with Moonstone Madness and it doesn’t appear to be tapering off just yet. 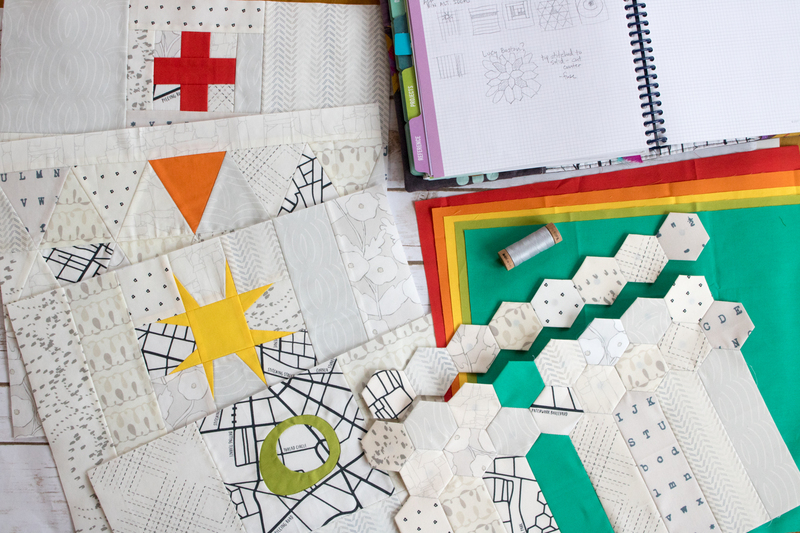 I’ve had a wonderful time piecing together these blocks, and the portable nature of English Paper Piecing ensures that it is still very much on the top of my “summer stitching” projects list! 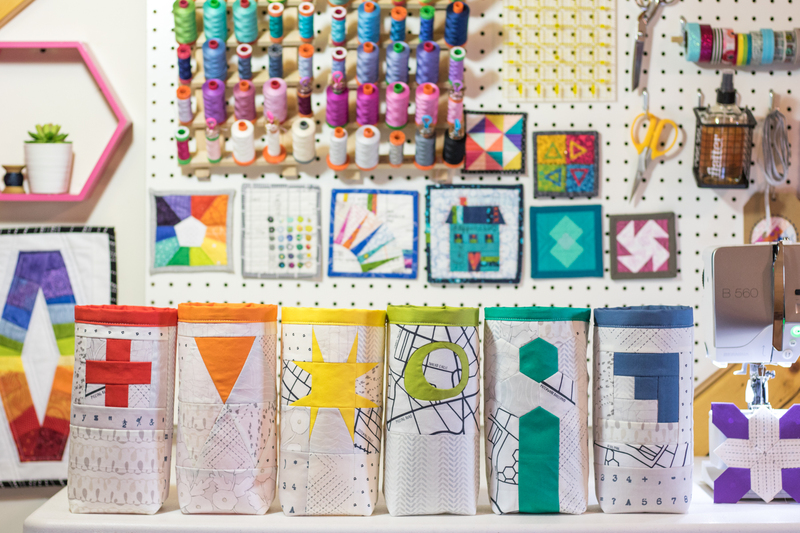 What did you stitch this summer? I’m linking up with Let’s Bee Social, since it’s about time I was social in blogland again! 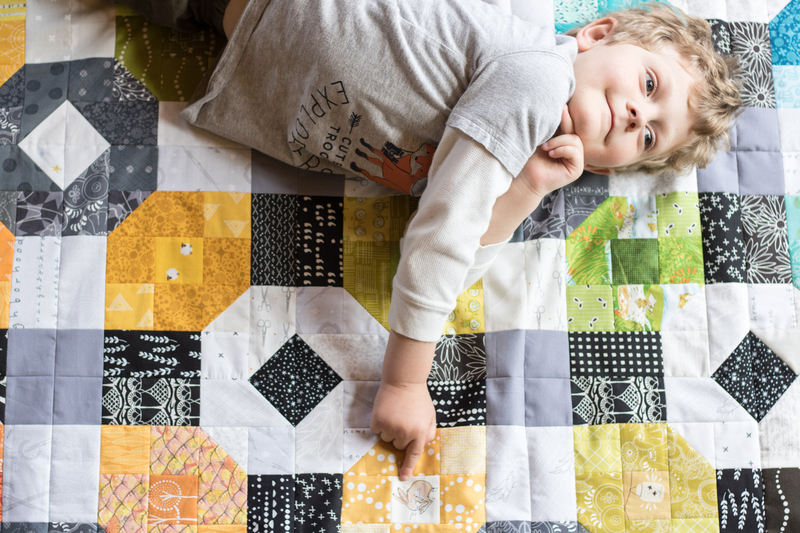 I’m still working on a post about my experiences at QuiltCon last week, but as March continues to skip on, I thought I should share February’s stitches for my 1 year of stitches project in the meantime. 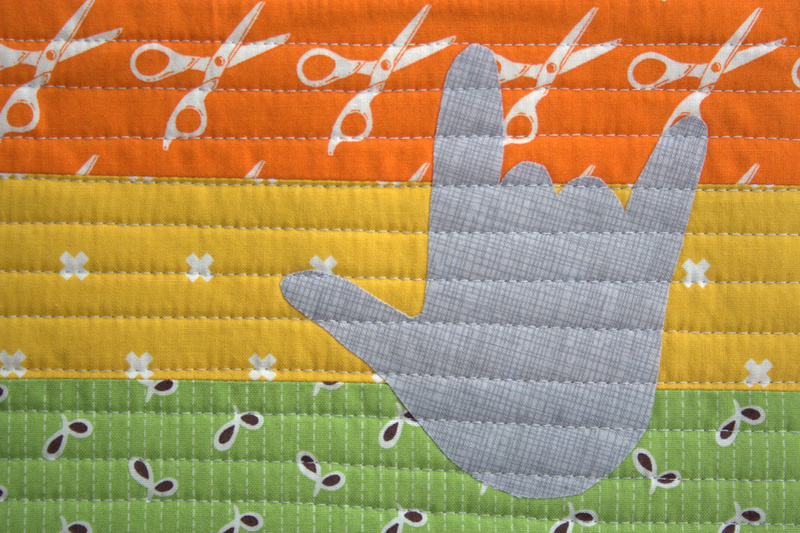 QuiltCon post coming soon! My 1 year of stitches project is a personal challenge to stitch at least one stitch every single day. 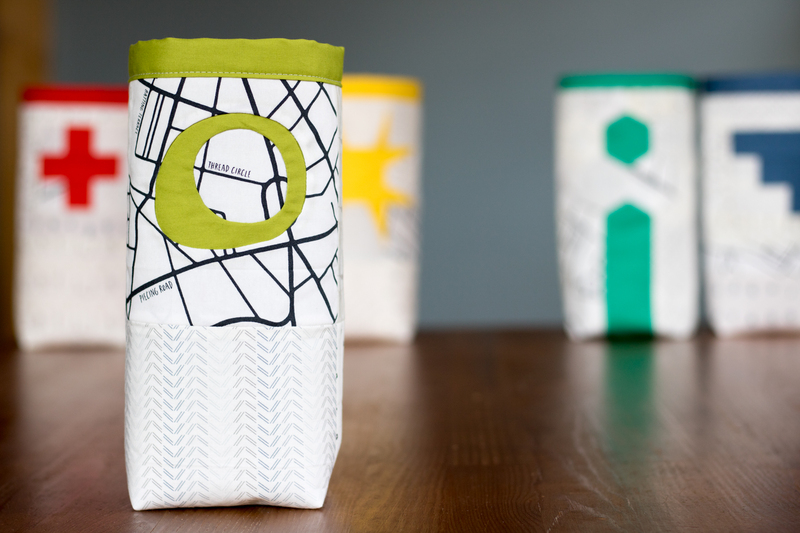 I am working with no set plan, I don’t mark the fabric before stitching; I simply stitch whatever wherever whenever. It’s quite fun!! You can follow along with my daily stitches at @NQ1yearofstitches on Instagram. I guess 28 days can make a big difference! 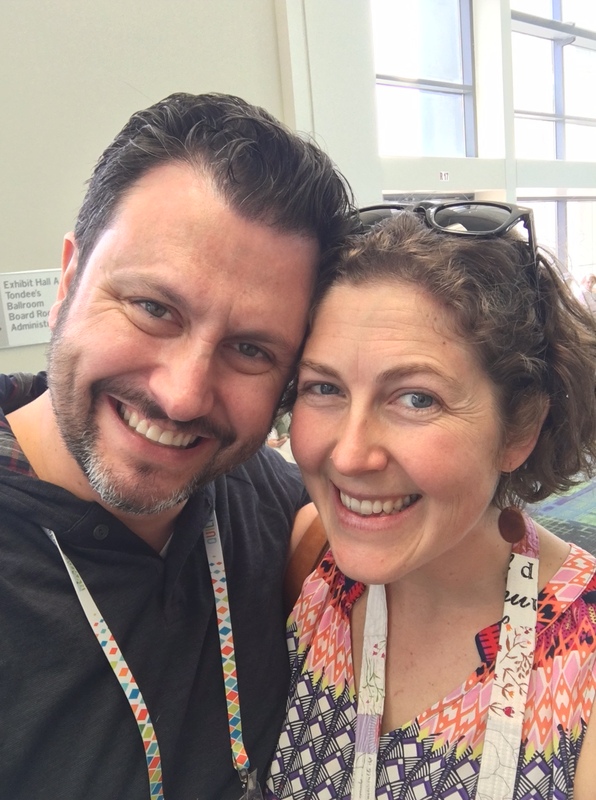 The highlight of the month was getting the chance to chat with Erin from Aurifil on Facebook live while attending QuiltCon in Savannah. 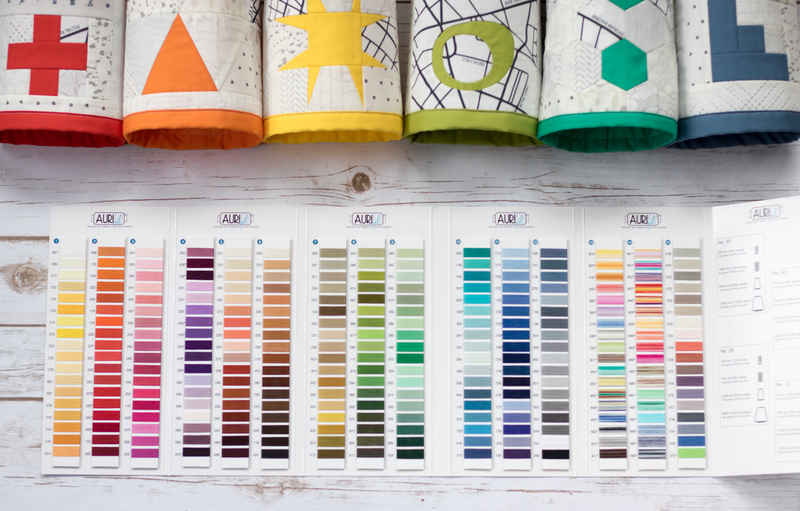 You can see my low key chat HERE on the Aurifil Facebook page. 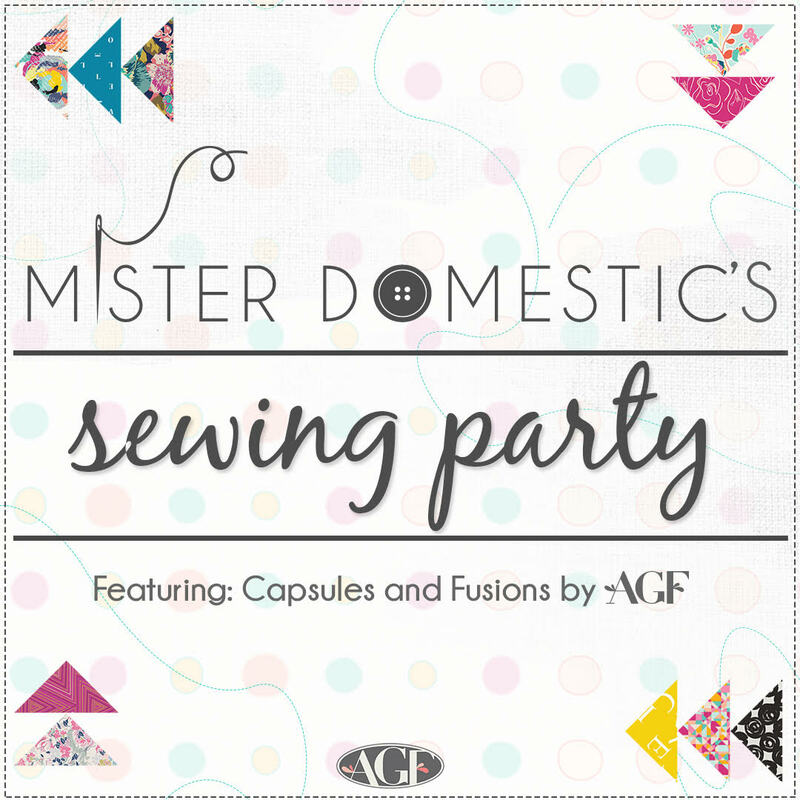 I talk about my process, how the project came to be, why I use Aurifil 12wt thread, and I show a quick demo on how to stitch a French knot. It was a really fun opportunity, and while a bit nerve-wracking knowing I would be live, Erin made it easy by being totally awesome and relaxed. Plus, she’s from Maine. Perfect! The whole experience inspires me to try a bit harder to figure out a way to video my stitches live each day, or at least some days each week. I’ll get right on that and will let you know if I figure it out! Back to my embroidery progress! 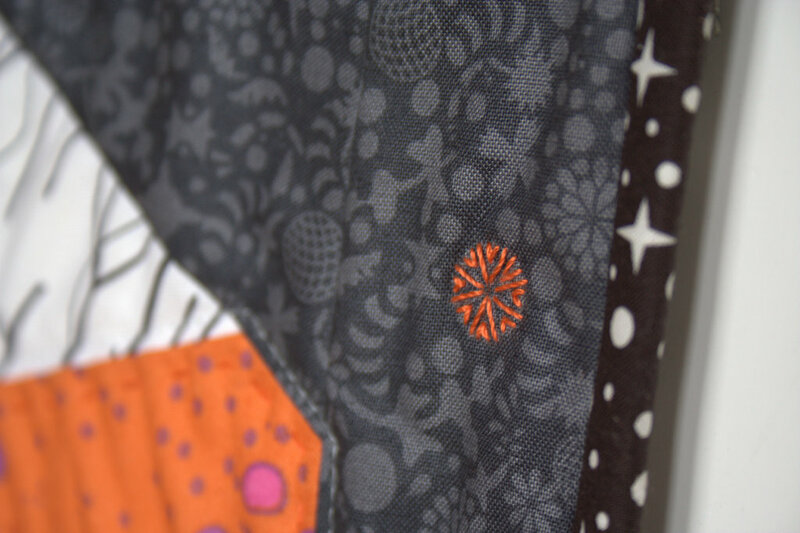 Here are some close up shots of the various sections of this freestyle hoop. I am still stitching without a plan, deciding each day’s stitches the morning–or sometimes night!–of the current day. I have tried a handful of new stitches and look forward to trying even more as the year progresses! Those little white three-petalled trillium flowers are the most recent addition. Time will tell where this will go from here! This month, I had a photography helper, so of course I can’t end the post without a few Finn cameos. I often use the photos on my phone as a reference, so I pulled up January’s photo to make sure I arranged the thread in a consistent way. Finn was please as punch that they matched. He also helped me put the thread back into the box, then arranged around the hoop, back into the box, then arranged around the hoop. What a helper! Hmmm what shall I stitch today? The finish I’m sharing today measures only 4″ across, but probably took more hours of work and provided more peaceful moments than most of my other projects. I’m relatively new to embroidery, with really only my Dropcloth Color Wheel sampler and the embroidery stitching I did on a mini quilt a while back as projects under my belt, but when Alison Glass sent me some of her Stitched fabric, part of her new Seventy Six fabric line for Andover Fabrics, it begged to be… well, stitched. I’m so happy I obliged, because I just love this little hoop! Here’s my Instagram post from the wee beginnings of this hoop, about 12 weeks ago. When the Stitched fabric arrived, I had just completed my Ocean Path quilt for our big Quilt Theory debut, and I was in the final push stage of finishing a quilt that will be in the February issue of Love, Patchwork and Quilting magazine, so picking up a small, no pressure, no purpose, no pattern hoop of Stitched and my 12wt Aurifil thread stash was the perfect brain palate cleanser. Here’s the back of my finished hoop—see! I am totes a novice! I think this looks fun, though, crazy as ever! This was back in September, according to my good ole’ Instagram feed, and since that time, ending just a couple of days ago, I’ve picked this little hoop up for 1-20 minute intervals (and 20 minutes might be leaning on the long end) every here and there: a quiet moment when the kids were all playing nicely together, a few seconds here while having a minute lax time while cooking dinner, or just because I needed to MAKE and had not yet had a chance that particular day. I stitched whatever I wanted, wherever I wanted, and tried many different stitches. I used Aurifil 12wt thread from my stash, in colors (left to right from photo above): 2530-Blossom Pink, 2435-Peachy Pink, mystery orange–the only Aurifil tag that has ever fallen off a spool!, 2120-Canary, 1147-Light Leaf Green, 2884-Green Yellow, 5005-Medium Turquoise, 2540-Medium Lavender, and 2515-Light Orchid. I used a single strand for all except the turquoise x’s, for which I use two strands. If I were to do it again, I would probably stick with a single strand since I love the crisp aesthetic that results. Toward the end, I went a little crazy with french knots, but I do love them so and they make a great “filler” around the edges. Since the pattern is printed on the fabric, there was no actual end, so it was up to me to decide how close to the edges to stitch. At first I thought I’d leave a bit open, but I just couldn’t stop stitching. As it is, most stitches extend to the absolute edge of the hoop. I kind of love it. 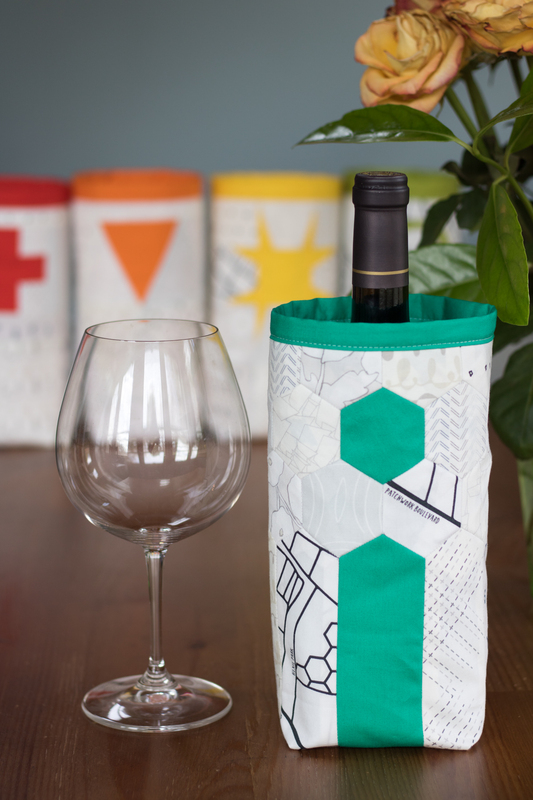 I finished it using the methods (minus the plan-ahead phase, since I didn’t plan ahead lol) shared in this tutorial on Sew Mama Sew. I stitched the running stitch around the excess fabric, pulled it tight, knotted and tied it, then trimmed off the extra fabric. Next I cut a 4″ wool felt circle using my Sizzix machine and stitched it onto the back with coordinating 12wt Aurifil thread and a blanket stitch. I’m quite happy with the finish, and definitely plan to make more. In fact, I very well might aim to always have a free-form brain palate cleanser embroidery hoop laying around, since it really worked wonders for helping me get back into a better mental place during especially hectic, crazy kid, too many (mostly self-imposed) expectations-filled days. Making works magic, doesn’t it? I’m linking up with Crazy Mom Quilts Finish it up Friday, and then sending this hoop off to a friend! The school year is winding down, which means teachers’ gifts are at the forefront of my mind (along with excitement–and trepidation!–at the prospect of summer adventure day trips with all three kids). 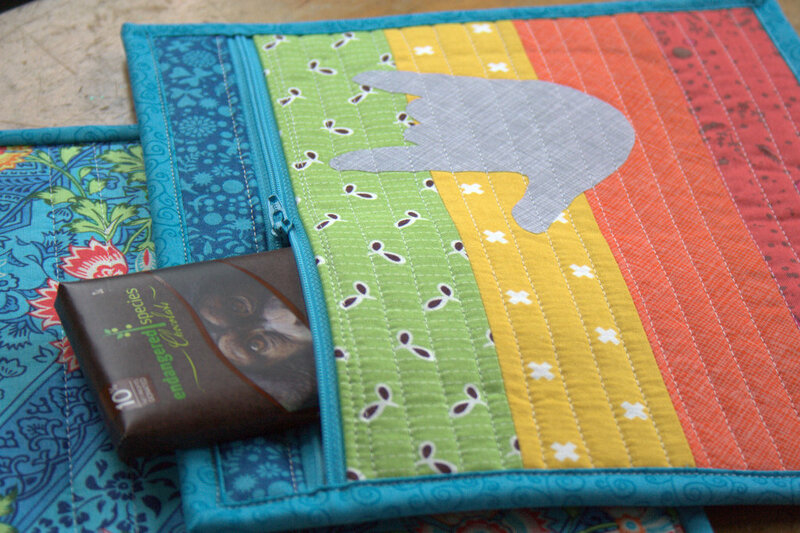 When Fat Quarter Shop invited me to join this Simper Zipper Bag Sew Along, I thought it would be a perfect teacher’s gift project. I stitched up three of the large zipper bags, added some chocolate and a personalized thank you note from my 3 year old son, and viola! 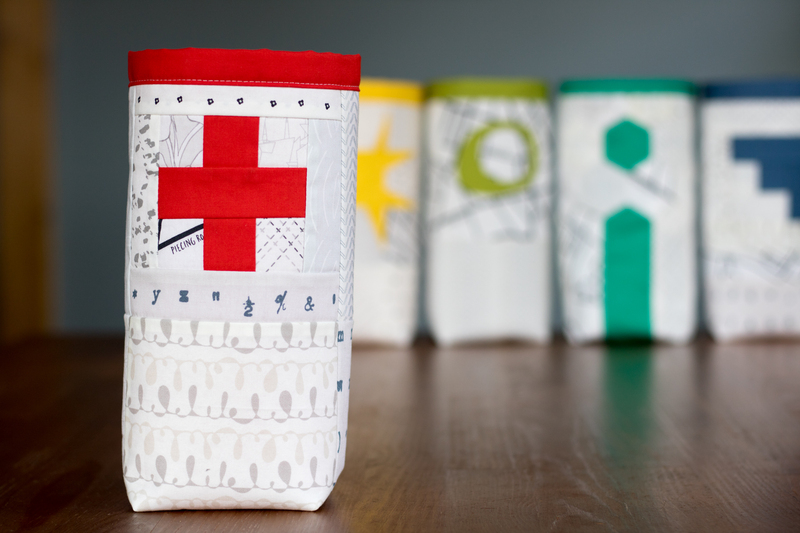 Perfect heartfelt teachers’ gifts! 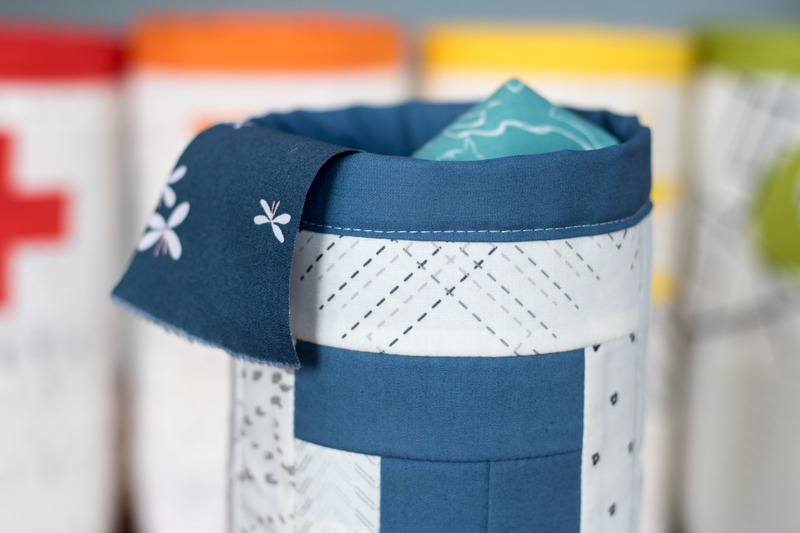 The construction of the bags is brilliant, since the lining and the outer panels are quilted together and then simply sewn together and bound–so easy! 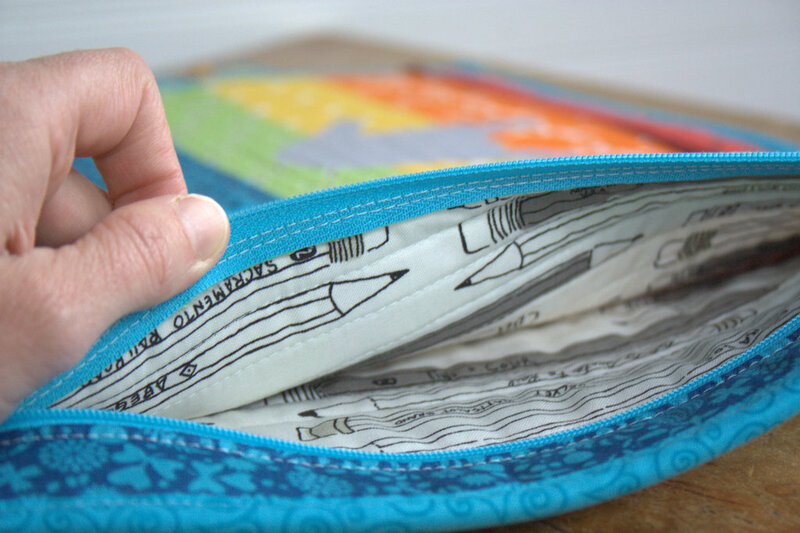 I definitely will be going back to this pattern for future gifts, and I’m thinking of making a few more to stash coloring supplies for my kids in my purse for when extra entertainment is needed. This is admittedly the first time I’ve made handmade teachers’ gifts, but my son’s preschool teachers have done such a fabulous job supporting and guiding him this year, that I felt I really wanted to express my gratitude. When I asked Max if he had any idea what colors might be his teachers’ favorites, he said, “Alllllll the colors!” That’s my boy. I figured I probably couldn’t go wrong with a rainbow-esque bag, especially for preschool teachers. I decided on a gorgeous Amy Butler fabric from my stash for the backings and then used it to pull a coordinating rainbow of some of my favorite fabrics. You can see Alison Glass, Carolyn Friedlander, Cotton + Steel–they’re all there! I chose to use strips of fabric instead of mini charm squares, and arranged the fabrics in a way that worked with the three zippers I had on hand, making each bag unique while still having the same general aesthetic. I used the edge of my walking foot to space horizontal straight line quilting on the front, using my go-to thread, 50wt Aurifil 2600-Dove. 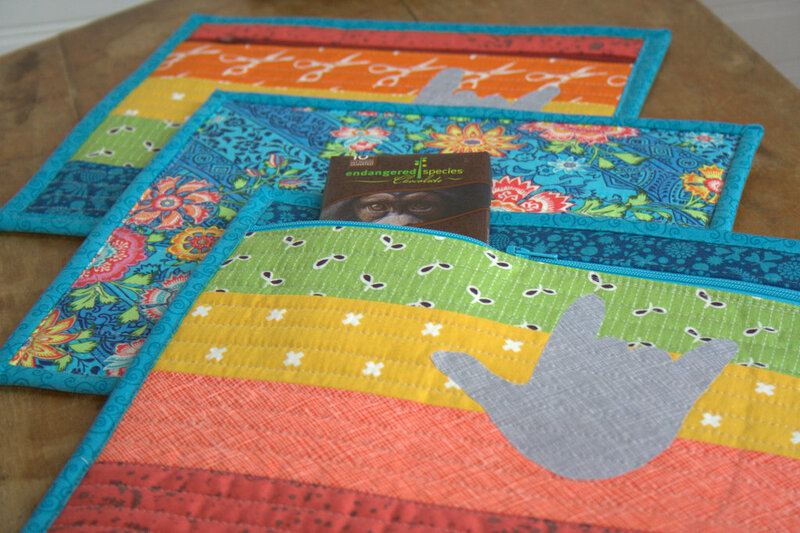 It blended perfectly with the “I love you” appliquéd hand while providing some subtle texture and interest to the rainbow fabrics. I lined my bag with an appropriate Cotton + Steel print, Study Hall in Black and White from their Black and White Collection. 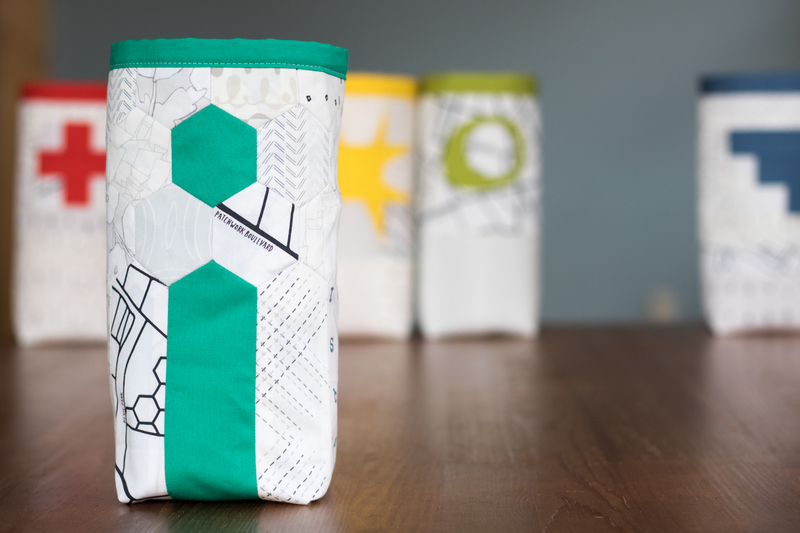 I love the neat detailing that results with the construction of this bag. 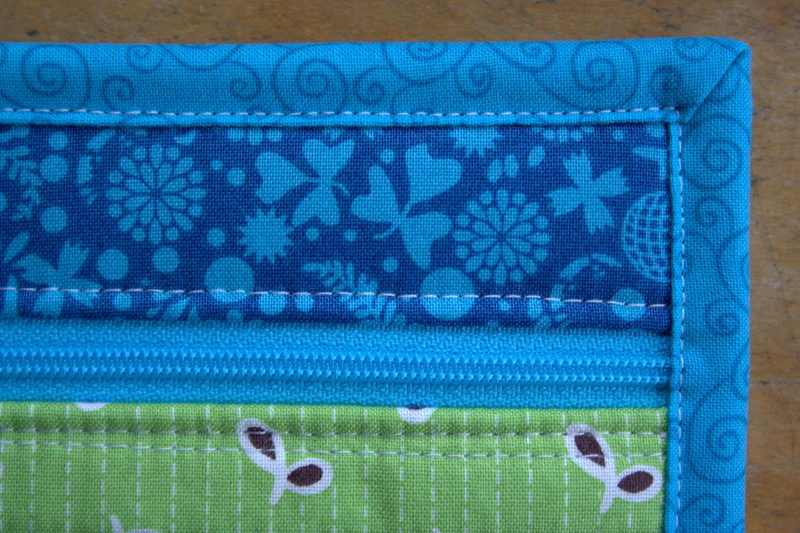 Sewing in the zipper is made SO easy, and the top stitching frames it nicely. More about that “I love you”; I think the American Sign Language (ASL) sign for “I love you” is known pretty universally, but in case you’re not familiar with it, the appliqué on each pouch is a tracing of my son’s hand making the “I love you” sign. My son is hard of hearing and wears hearing aids (when we can convince him to keep them in), and so he has a communication facilitator in addition to his two amazing teachers. His communication facilitator was fantastic, signing to him all day to increase exposure and familiarity to sign, since we are all trying to learn ASL as a family, and ensuring he heard directions during the day. The entire preschool class learned some sign language throughout the year, and the three teachers worked so well together to help ALL of the children in class have the best experience possible. When Max gave the gifts to his teachers, the “I love you” appliqué of Max’s hand was met with “awww” and a few misty eyes. I think the zipper bags were a win! 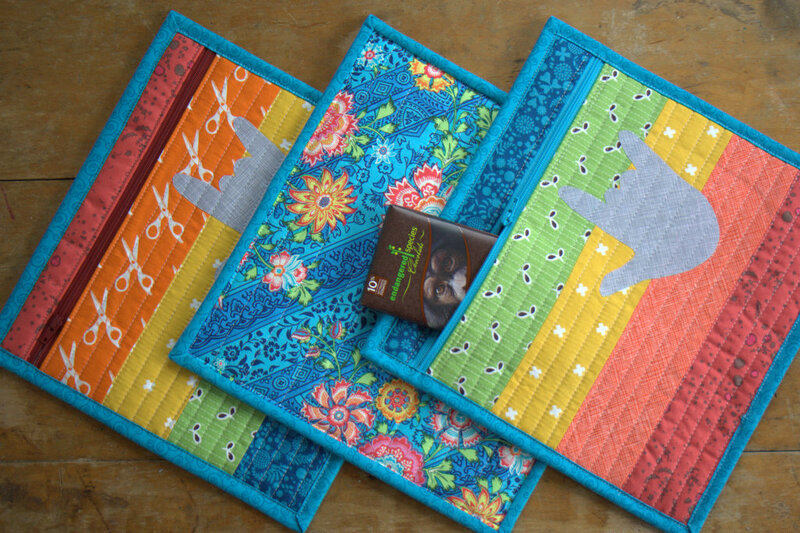 Kitty from Night Quilter <—That’s me! 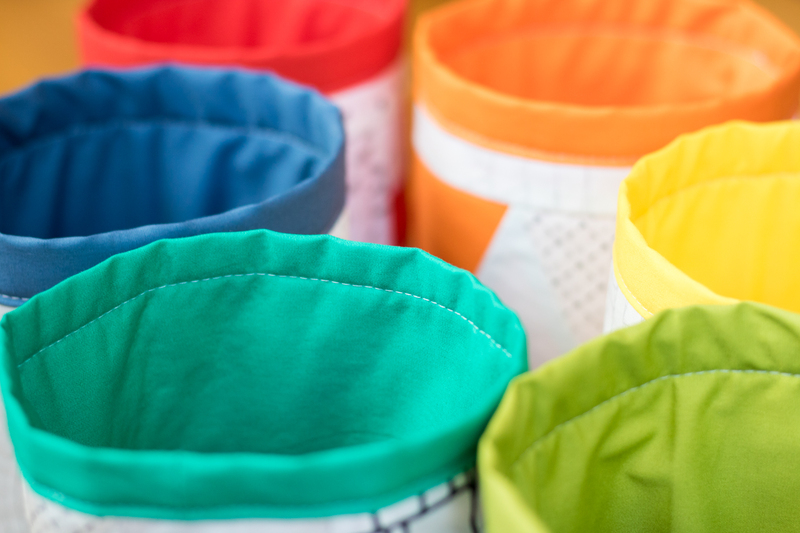 Have fun making your zipper bags! 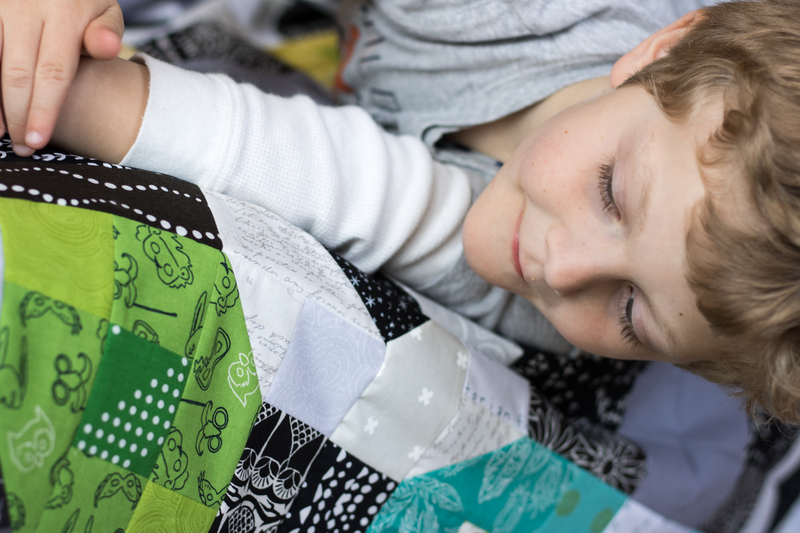 Last night kicked off the International Quilt Market, spring edition, which is in Salt Lake City this year. Much of my Instagram feed is flowing with pictures of sample spree booty, gorgeous booths, and peeks at new fabric lines and products. 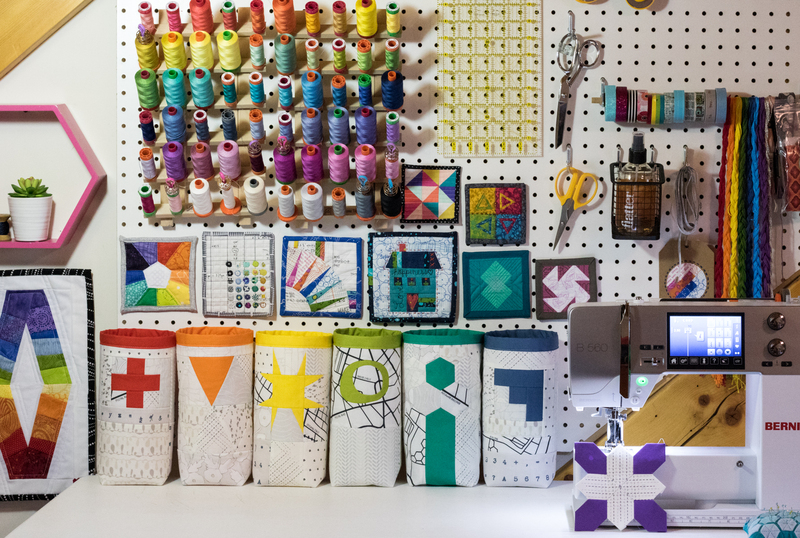 One product that is being introduced at Quilt Market as we speak is a new Sizzix die called Hex Star designed by Victoria Findlay Wolfe. 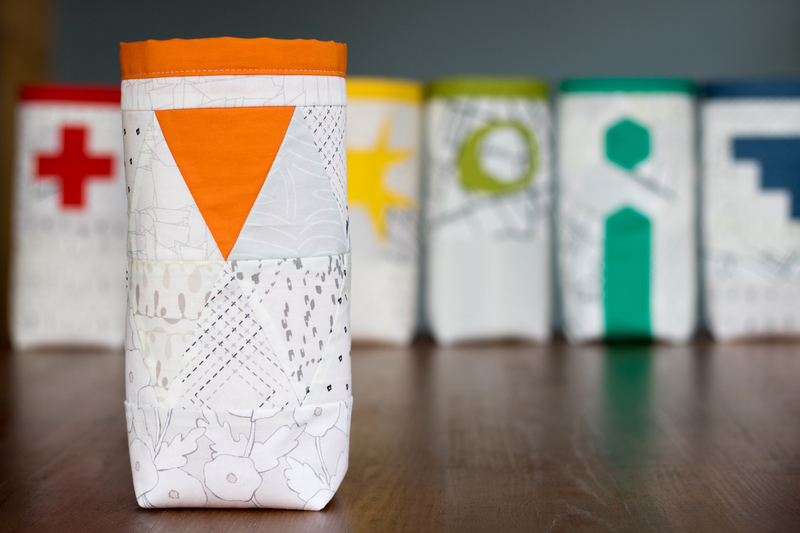 I got to play with this die in advance and I’m sharing the project I made with it over on the Sizzix blog today! 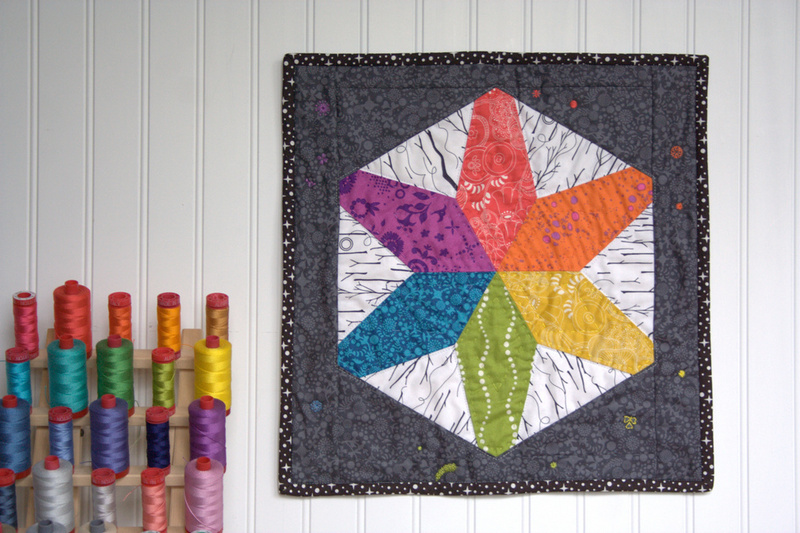 It included my very first y-seams, rainbow hand quilting with 12 wt Aurifil thread, and a fun go at embroidery quilting (I may have invented that term myself–is it such a thing!?) 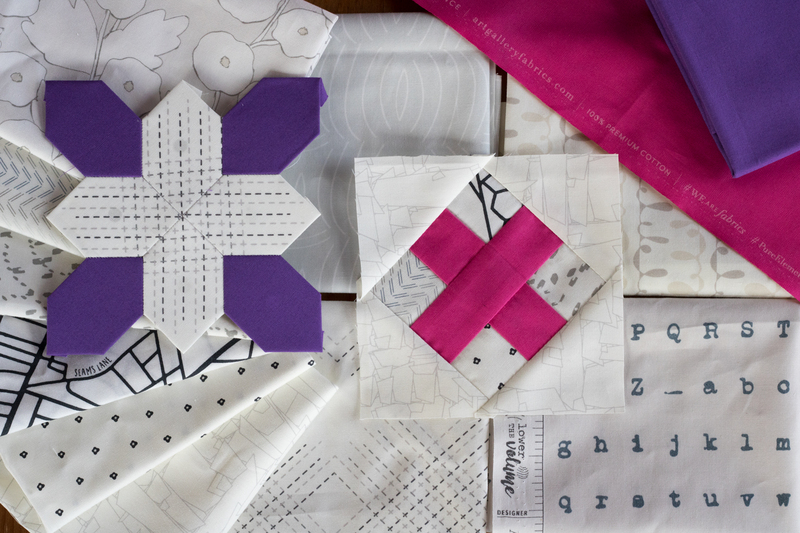 I share a close look at my hand quilting, a tip for even stitches, and many more photos of the full project here. Although the mini quilt is bound and finished, I am 99.9% sure I am going to do more embroidery-quilting on the Alison Glass Endpaper outer border. I was debating whether to stick with the colors extending from each arm of the star or to mix it up in the outer border, but I think I’m going to stick with the same colors as the center. 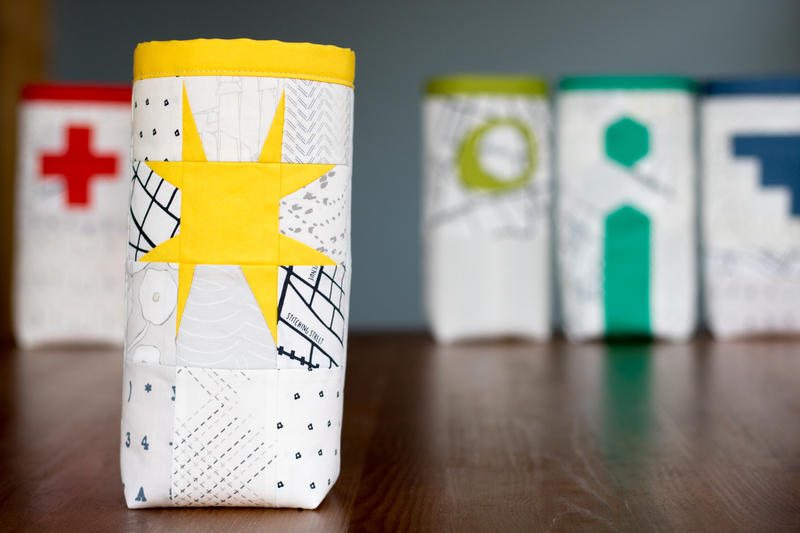 I shared more detail photos of the quilting and embroidery in my Sizzix post, so head over to see more!